Discover the best version of you with HYPOXI. You’ll receive a free consultation and one free 30-minute HYPOXI session tailored to your needs. Simply fill your details in our online form. Initially, you will need to book a consultation in order for a HYPOXI trained consultant to assess your requirements and objectives. This session is also an opportunity to learn more about this unique system and go through the training schedule. You can use our studio locator to find your nearest HYPOXI. There are several different packages and options to optimize your results with HYPOXI. Training packages start at $468, with sessions as low as $25 per training session. After your initial 12-24 session program, maintenance programs are available and strongly recommended. HYPOXI is perfect for people on-the-go as each session only takes 30 minutes to achieve optimal fat-burning results. The HYPOXI-Dermology treatment is only 20 minutes which means if you use it in conjunction with a HYPOXI device you can be in and out in under an hour! L250 and S120 training should be done in loose fitting gym pants, a t-shirt and athletic shoes. Bring a gym towel with you also. Vacunaut training should be carried out wearing a specialized HYPOXI under suit (available in-studio), or skin-tight bike pants, a tight-fitted t-shirt and athletic shoes. Bring a gym towel with you also. For best results during the initial HYPOXI training, the HYPOXI-Method dictates 3 sessions a week for 4 weeks (total of 12 sessions). However, this is dependent on your weight loss goals. Many clients continue to do 3 sessions a week for 8-12 weeks. After you have reached your goal, clients can choose to move to a long term maintenance plan that is 1-2 HYPOXI sessions per week. If after your 6th session you have not seen any results – be persistent. Every individual body is different. It is important to review your nutritional and ensure you are following the nutritional guidelines as outlined by your consultant and in this booklet. Are you getting enough sleep? Drinking plenty of water? All of these factors can affect your results. The vacuum and compression process used in the HYPOXI-Method is non-invasive and truly pain-free. HYPOXI is a low impact training method and the horizontal position in the L250 and HDC machines takes pressure off the joints. HYPOXI training is designed for men and women of all fitness levels and ages. Throughout the treatment, your heart rate and skin temperature are constantly monitored. HYPOXI training does not require any particular degree of physical fitness and is perfect for someone who is thinking about getting back into exercise for the first time in years. You will be required to complete a client information form when you attend your studio, as there are certain illnesses & conditions which preclude people from undertaking treatments. If in doubt, we recommend you speak to a medical professional – your safety is paramount to us. Absolutely! Doing HYPOXI training does not mean you need to stop your other exercise. We encourage you to live an active lifestyle. However, to achieve maximum results while undergoing HYPOXI, you should not participate in any cardio or high intensity exercise for 4-6 hours after your session. What makes HYPOXI so unique is that it is targeted weight and fat loss around the hips, buttocks, thighs and stomach. Because you are doing light exercise and following healthy diet you will no doubt see incidental fat loss in other areas such as the chest and arms, however the largest in. loss will be in the targeted areas ie. Hips, buttocks, stomach, thighs. HYPOXI does not allow pregnant women to undergo HYPOXI treatments. If you do fall pregnant while undergoing HYPOXI, you can suspend your treatment package until you are ready post birth to continue your training. HYPOXI is perfect for new moms as it is low impact exercise and gentle on your body after birth. We recommend starting HYPOXI sessions 12 weeks post-birth. Please consult your healthcare/medical professional before engaging in any exercise post-birth. If is safe to undertake HYPOXI training while breastfeeding, however to avoid any uncomfortable feeling during your sessions in the HDC and Vacunaut machines, studios have Breast Plates available for use during your treatment. 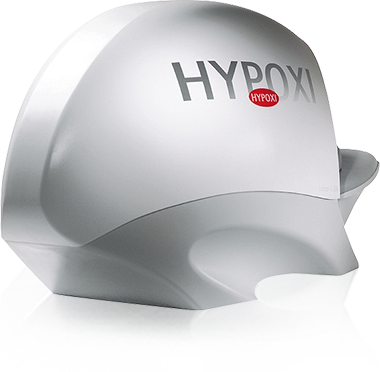 In most instances it is safe to use HYPOXI devices if you have breast implants. Please consult with your Studio Manager for more details. HYPOXI requires a medical certification before undergoing any HYPOXI treatments if you have a health conditions that does not permit you to exercise.